The NSX has been a great car for the 30,000 miles that I’ve put on it. It received a new right axle and a 10W30 Castrol GTX oil change in preparation for this week’s upcoming trip to WestFest in Las Vegas, Nevada. The original axle had flung a bunch of grease on the undercarriage and I started getting a ‘clicking’ sound consistent with speed, so it was time. Science of Speed in Chandler, Arizona worked to squeeze in the car in the nick of time. Thanks to Chris & his team for their help! 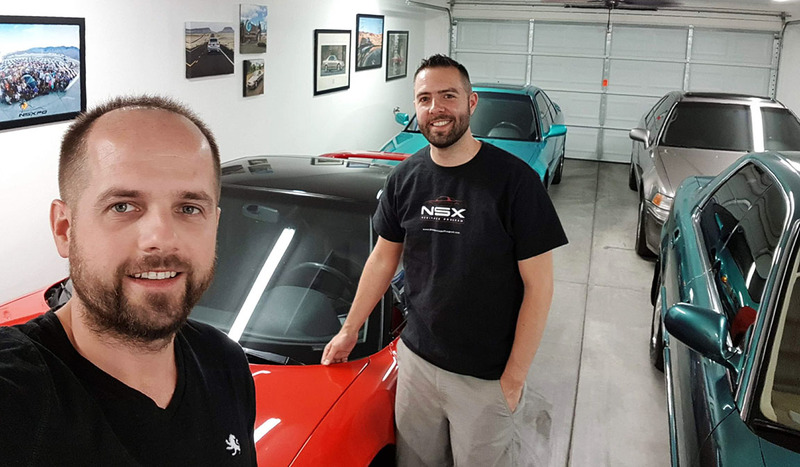 WestFest is slated to be one of the biggest NSX Club of America regional club events this year, anticipating 45 vehicles and upwards of 70 attendees. Here’s a post from where I scouted out the proposed WestFest group drive earlier this year, and a write-up from last year’s program. We will be in Vegas from Thursday through Sunday. The Integra has been getting some more attention. 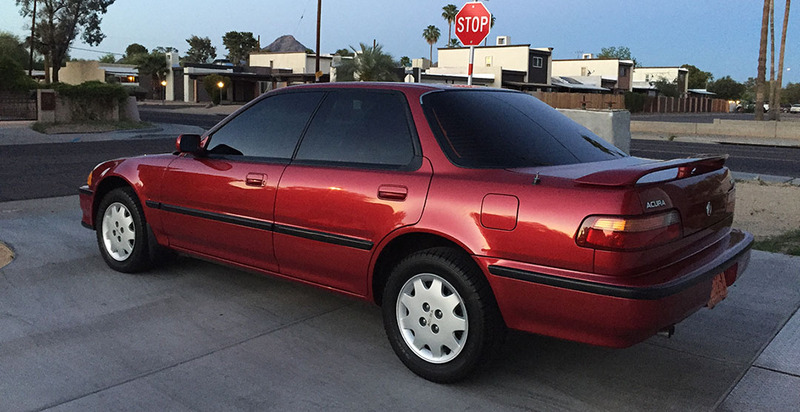 I had Desert Shield Window Tinting give it a new set of shades. It’s a necessary update when you live in an area that has 300 days of sunshine per year. 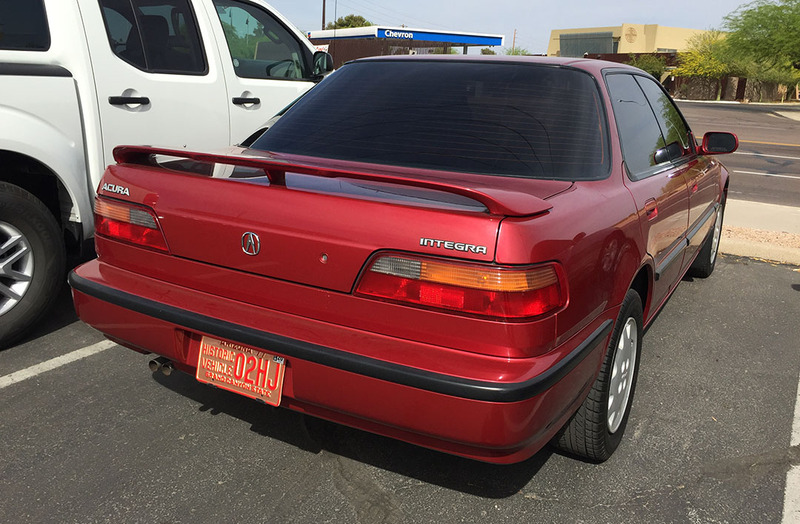 You can see here how the clear rear window showed those faded rear headrests. Little better here, especially to preserve the interior from further deterioration. I have had Desert Shield work on 5 or 6 of my cars in the past, but I honestly cannot say I recommend them any longer. I specifically asked for the side windows to be all the same shade, but the technician installed limo tint on the rear side windows. I had it stripped and redone. Then 3 days later, there was peeling tint from the left rear door. It will be fixed under warranty next week. But I’m tired of taking trips back there. I spent an evening earlier in the week getting the engine bay cleaned up. It wasn’t really bad to begin with, but just in case I end up showing this car at any events, I want things to be ready. There’s a video below. In other noteworthy news, my friend Vlad stopped by this week. He drives an RLX that I featured in a Reader’s Ride last year. It was great to catch up with him. 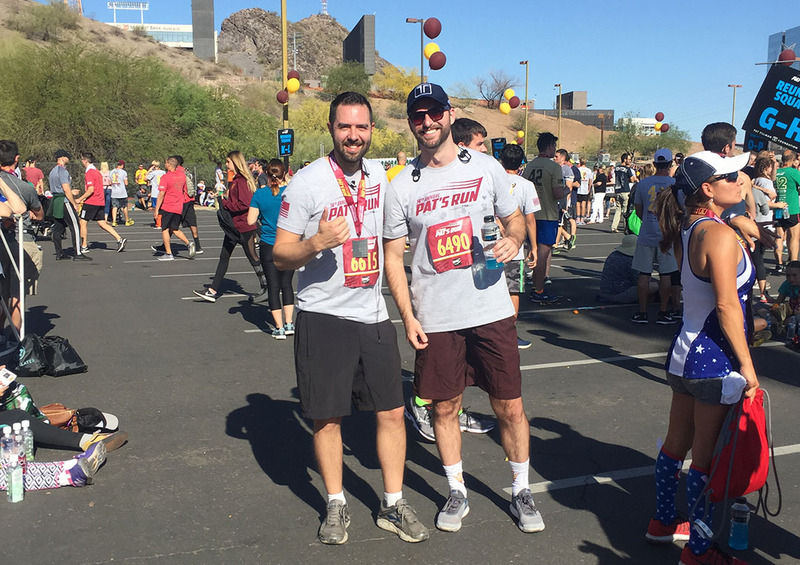 And yesterday, a friend and I joined 28,000 other runners in the 14th annual “Pat’s Run,” in Tempe, Arizona. It’s a 4.2-mile race in recognition of our armed forces, past and present, named in honor of Pat Tillman who was a professional football player killed in the line of duty in 2002. It was a well-organized event and served a good cause. 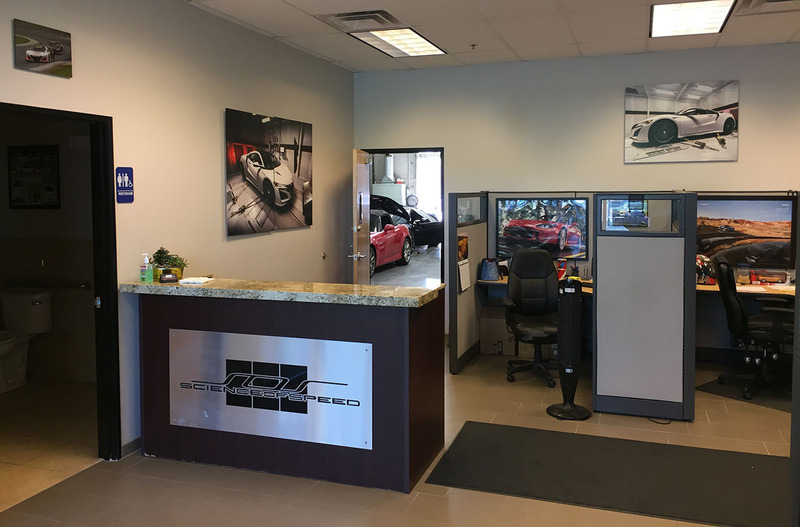 This entry was posted on April 22, 2018 at 10:09 am and is filed under Detailing, Integra, Maintenance, Milestones, NSX, Running. You can follow any responses to this entry through the RSS 2.0 feed. You can leave a response, or trackback from your own site. 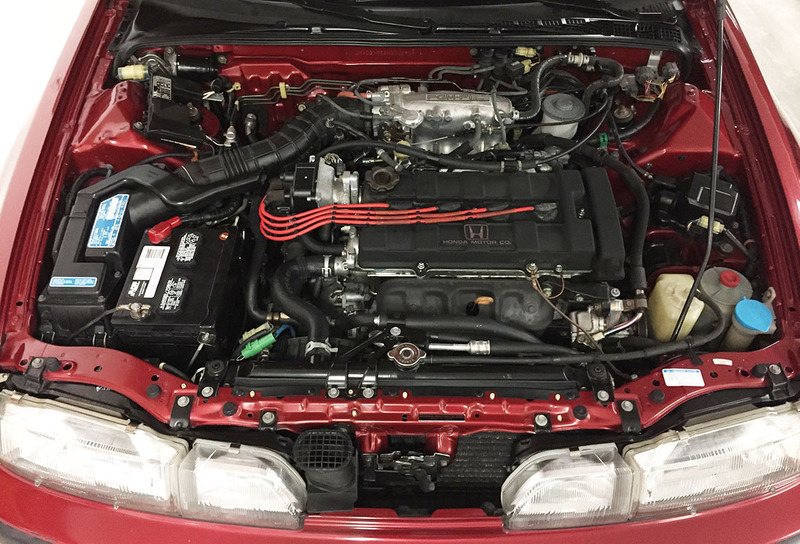 Engine bay of the Integra looks great, Tyson! And thanks for shooting the how-to video, as I’d like to try to tackle my Accord’s engine bay later this spring. I’ve never tried it before, however, as I’ve always been worried about ruining the electronics. Looking forward to following the road trip adventure of the NSX. How many 27-year old supercars with 110,000 miles would you think about taking on a multi-state road trip? 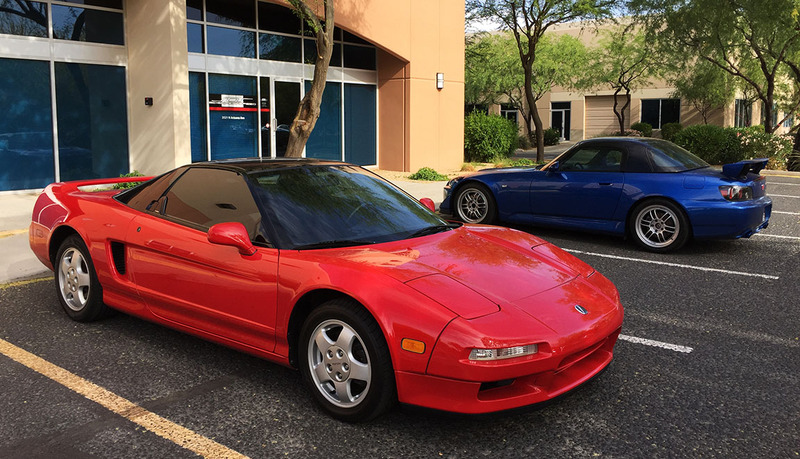 The NSX and… ummm… yeah, that’s it. You bet! Wish you were local – I’d have you and DH over here for a thorough “inside & out” detail day! Come to think of it, I’m past due for scheduling one of those here at the house. I’ll be sure and capture plenty of details from WestFest in Vegas to share here! Thanks for reading! Congratulations on the milestone in the NSX, it’s still looking sharp! The engine bay tidy-up looked like it took a bit of work, but came out the other side like it was a different looking car. I’m also a big Meguiars fan, but I’ve never used their natural shine/protectant. I must track myself some of it down. Hope your week is going well! Bummer about the tint but hopefully they get you fixed up for now, and any future needs can be handled elsewhere… cars look great per usual though! I need to watch your video about the engine bay detailing. The Ranger is disgusting (just dusty/dirty, no leaky fluids) and I want to clean it up before selling it but have no real idea where to start. At least you don’t have a dead cat in the engine bay like James did. Haha. I’m sure the Ranger can be tidied up pretty easily. When you get to that point I can coach you through some of it. I saw you were working on some of the maintenance which is great. Get that thing ready to wheel & deal. So crappy service from the transport company and now the tint place? 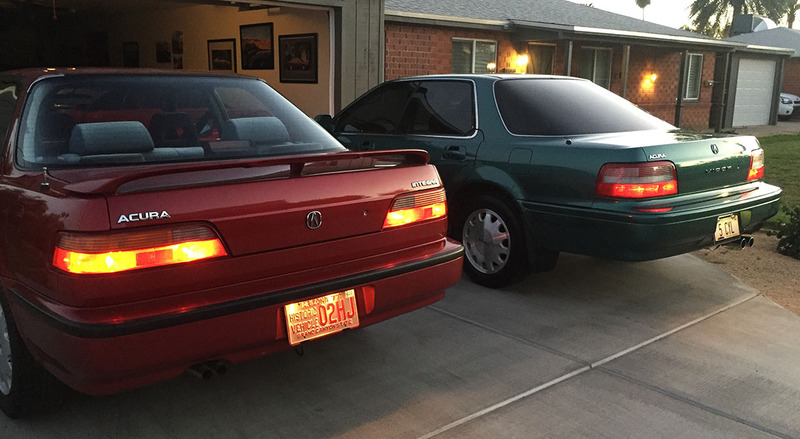 These people are messing with the wrong Acura buff! I know, seriously! I’m not much of a “Yelper,” but I have a few words to share. Haha. Hey how far are you from Kansas City? I’m out here for work for a couple days for a conference. Zoom on down in the Accord coupe. NICE video on the NSX! What kind of tires did you end up getting for the rear? Man that car is awesome! I went pretty ‘economy’ with rear tires since the car tends to go through them pretty quickly. Hankook Ventus. It seemed to be a decent bang for the buck. I’m looking forward to putting a few miles on the car later this week! The new Ventus are pretty decent – the early ones were awful, but I threw a set of new ones on my E46 M3 and they were fine for street driving. Should be a good choice! The tint looks good. Interesting you bring up your bad experience. I was never going to say anything, but they had screwed up the tint on the VehiCROSS when I had it done – because of the weird window in the back it had funky corners so they folded the tint instead of cutting it. It was bizarre for sure, but as you know it didn’t end up being permanent. That’s weird. Yeah I think the place has changed ownership & technicians since I first started going there because it’s gone downhill! Some good lookin’ shades there! Amazing how a good tint will transform a ride. I’m in love with that Teg. The simplicity of it just can’t be matched these days. 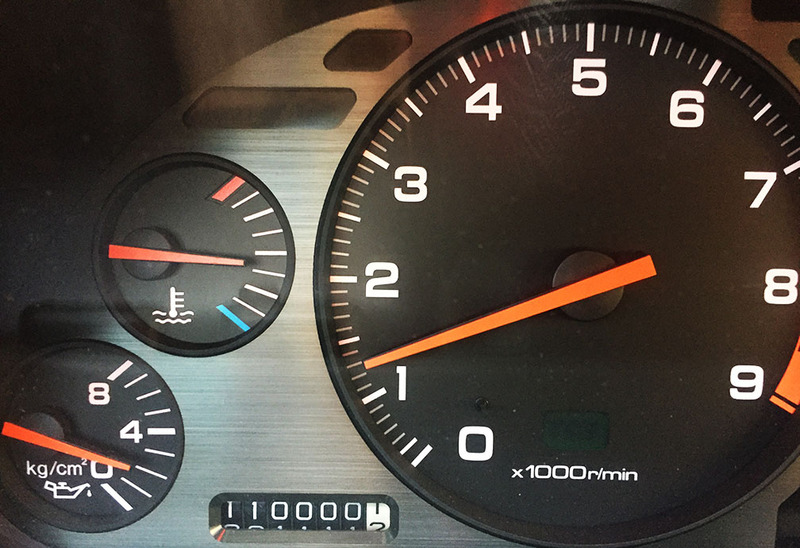 Congrats on the 110K milestone on the NSX as well! Thanks! Anddddd stay tuned. This Integra is going up for sale. LOL. I found a replacement that’s EVEN BETTER! Woot Woot.